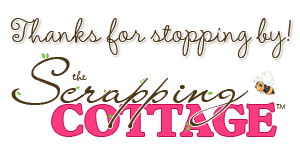 Hi, Lois here to share another card with you today. 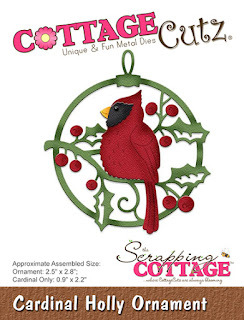 CottageCutz is having a Christmas in July sale -- you can save 65% on CottageCutz Christmas designs, including the cardinal ornament I used on my card today. 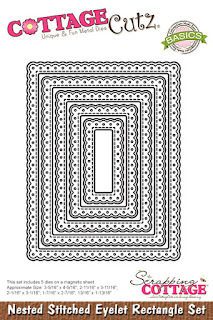 As we have mentioned previously, the design team is having a throwback month in July, using previously released dies on our cards. I used the Cardinal Holly Ornament as well as the Nested Stitched Eyelet Rectangle set. My card went together pretty quickly. If you've been wanting to get some Christmas dies, now is the time to check out the website and SAVE 65%. Such a darling card! We have so many cardinals in SC. They are such beautiful birds! Lovely Christmas card! Such a clean look with a wonderful cardinal in the ornament.